Before the pristine white layers of fluffy goodness turn into the not-so-magical mounds of slushy grey mess, here’s a round-up of some exciting snow day activities you should try out with your preschoolers. 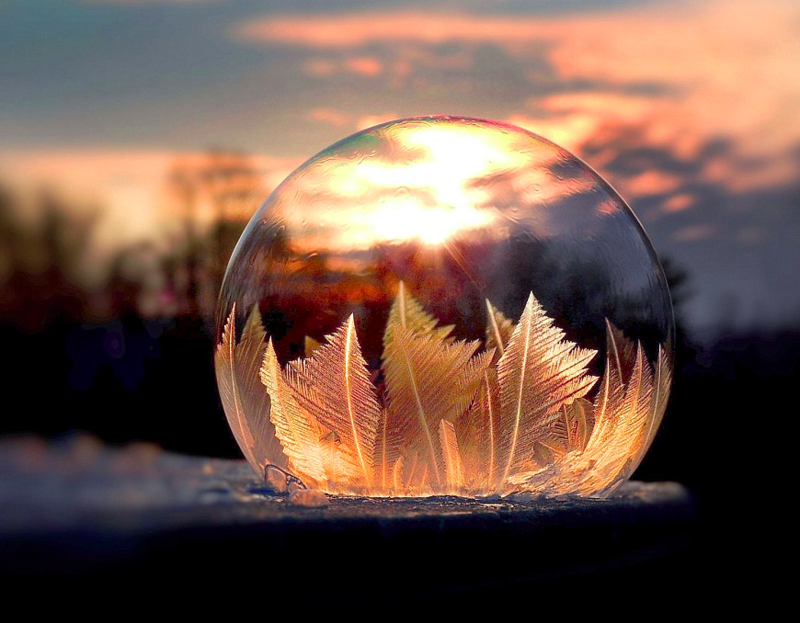 If the grounds outside are strewn with snow, the temperatures are below freezing, and you have some time at hand – this is the kind of magic you can create with some plain old bubble solution and a wand. You can use a store bought bubble solution or make some using the recipe above. This bubble recipe from redtedart works great, and the glycerine makes the bubbles thicker and last longer, as well. All you need to do is blow the bubbles and place them carefully on the snow. 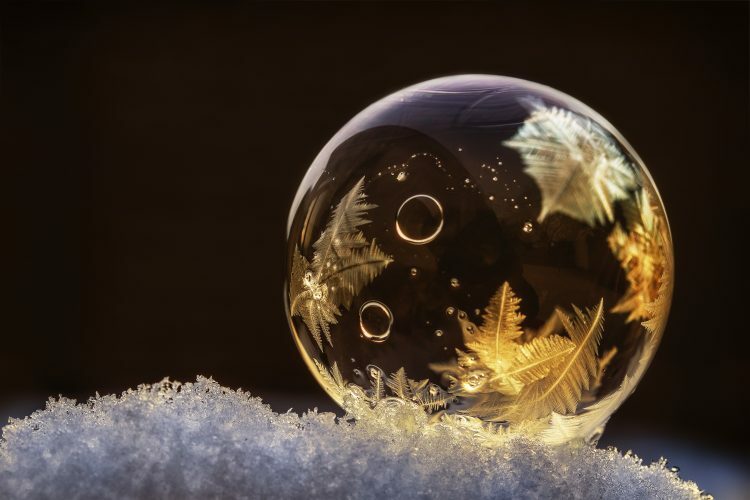 Wait for the bubbles to freeze and observe the intricate snowflake-like patterns that take shape inside. A quick heads-up – as easy as this might seem, it takes quite a bit of patience to get the bubbles to freeze without popping. But, the results are well worth the effort! Making Canada’s traditional golden, luscious maple syrup candy aka maple taffy on snow is another must-try snow time activity. Boil the maple syrup in a saucepan until it begins to bubble. Prepare a fresh, clean bed of snow. 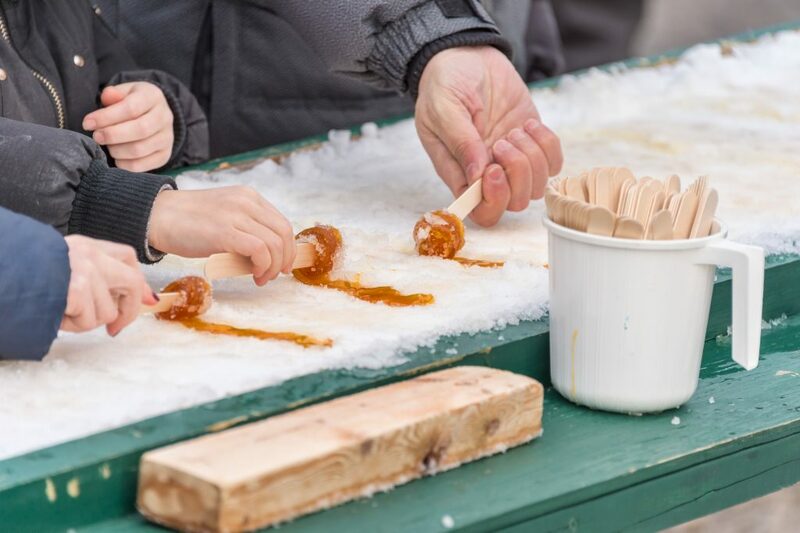 Pack the snow tightly in the bed to make sure it holds the syrup. Carefully pour the syrup in lines on to the snow. Press a craft stick on the syrup and roll it around the stick as it cools. Your delicious taffy-on-snow is now ready and waiting for you to enjoy! Want to add a little twist? Roll the candy on a bed of crushed walnuts or pecans, rice crispies or chopped dry fruits! Divine! You can also check out this recipe by Valerie Lugonja for a detailed step-by-step description and some amazing pictures. When you’ve had enough fun in the cold outside, take some snow with you to try out this snow science experiment from Sciencekiddo . Draw a cute snowman face on your ziplock bag. Fill it with snow. Add a couple of Alka Seltzer tablets to the snow. Zip the bag and watch. The kids will love to see the snowman magically grow bigger and bigger. Alka-Seltzer tablets are made of citric acid and sodium bicarbonate (baking soda), which is a base. The acid and base do not mix when the tablets are dry. But, when they are immersed in water (from the snow), the acid-base duo reacts and release carbon dioxide gas which fills up the bag and makes it expand. We hope you have fun trying out these snow activities with your preschoolers. Make the most of it while the snow lasts, and do share with us if you have any exciting snow day activity ideas or traditions in your part of the world!